Please use the links at left to learn more about the use of Nyalic within specific industries and applications. Here are some "before and after" examples showing the results of Nyalic application. Click any small image below to view a larger version. NYALIC (nigh AL ick) is a nylonic, crystal clear polymeric resin coating that provides years of protection against chemical, environmental and ultraviolet corrosion on ferrous and non-ferrous metals, galvanized, anodized, powder coated and painted surfaces. It also works well on plastics, fiberglass, concrete, stone and masonry and even on wood. Nyalic has many characteristics that make it the ideal choice for use on a wide variety of surfaces and for many different applications. 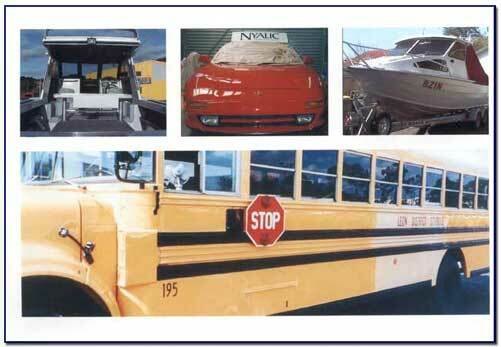 Nyalic is used with confidence in such markets as automotive, aviation, commercial, industrial, marine, residential and transportation. 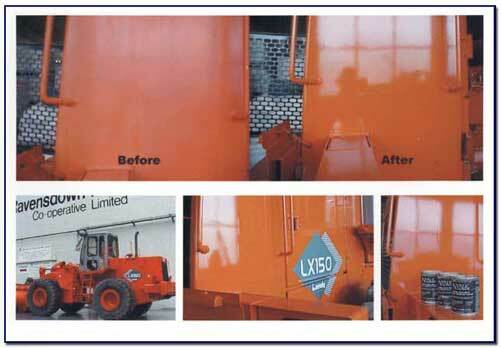 First and foremost, Nyalic is highly corrosion resistant. Nyalic is impermeable, and the thin-film envelope protection that it provides prevents moisture and air from reaching the surface. This is true on painted surfaces as well as the highly polished surfaces of stainless steel, copper, chrome, bronze, brass and aluminum. When fully cured, Nyalic’s smooth, clear finish seals the pores of the surface. 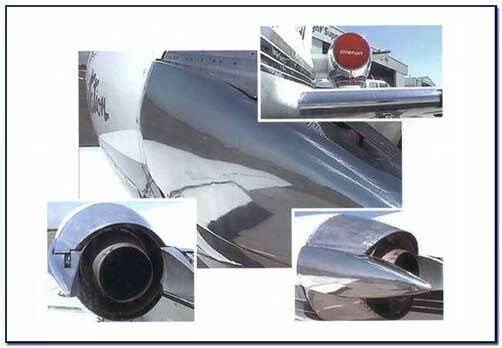 Painted surfaces retain their crisp look and do not oxidize, and bare metal surfaces do not oxidize or stain. The product is extremely flexible and expands and contracts with the host substrate across a wide temperature range. It is thermodynamic from well below zero to 350° F/ (175° C). Nyalic will not crack or peel. Additionally, Nyalic is impact resistant and will not chip. 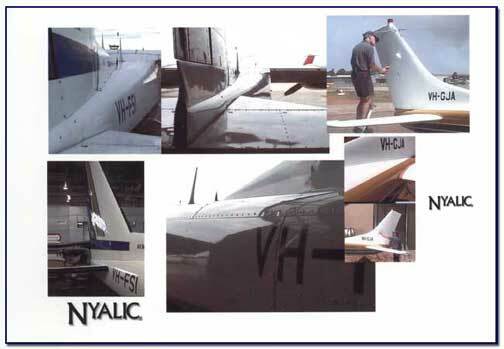 Nyalic blocks UV rays and does not chalk or yellow. 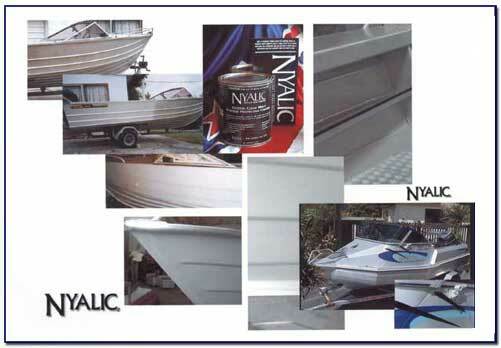 Used on newly painted surfaces, Nyalic prevents the degradation of the paint. Used on faded, oxidized painted surfaces, Nyalic rejuvenates and restores the surface to a like-new appearance. Nyalic is non-conductive and static free and has been used to protect circuit boards and electrical connections. 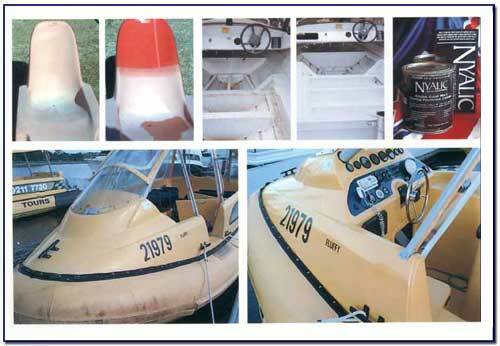 When used to protect dissimilar metals, Nyalic prevents corrosion caused by electrolysis. Nyalic dries to the touch in about 20 minutes, reaches dry cure in 4 days and a full hard cure in 30 days. But the most important point to keep in mind is that most Nyalic-coated surfaces can be returned to service on the same day. 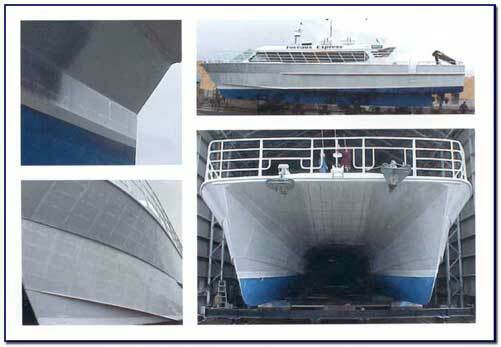 A Nyalic-coated surface is easy to clean, reducing maintenance costs, both in products used for cleaning and in labor. 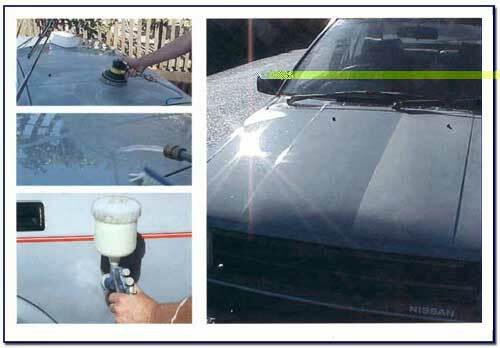 A surface coated with Nyalic resists the buildup of algae, dirt, dust, mildew, mould, etc.